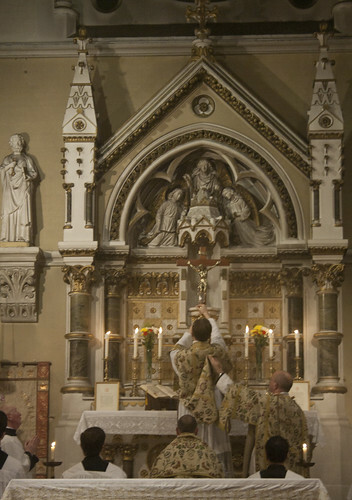 Yesterday the regular Low Mass for the Good Counsel Network in Corpus Christi Maiden Lane (arranged through the Latin Mass Society) became a Solemn Mass through the involvement of the flourishing Juventutem London group. 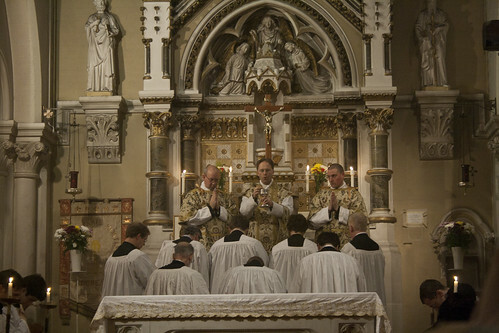 Fr Armand de Malleray, the Juventutem Chaplain, was celebrant, Fr Bede Rowe deacon and Fr Alexander Redman subdeacon. It was the feast of the Apparition of Our Lady at Lourdes (and the anniversary of the first apparation). 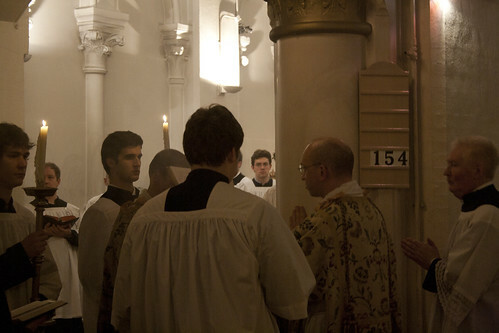 I drove a contingent from Oxford to the Mass (another group travelled by train), and joined the schola at Mass. Others came from as far as Portsmouth, though most of the young people there were based in London. After the very splendid Mass, which was extremely well attended, about 50 young people enjoyed a meal together round the corner in a Mexican restaurant. Don't miss out on the next one! Join the Facebook Group, sign up for the next Mass (March 11th) on the FB event page, and see the Juventutem London blog. Juventutem London is part of Young Catholic Adults, and affiliated to the International Juventutem Movement. They are going to World Youth Day in Madrid with sponsorship from the Latin Mass Society: see here.